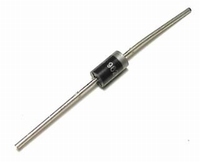 10 pieces of the well known 1N 4007 diode. Max. 1000 volts 1 Amp.